Ph.D. candidate, American Studies, University of North Carolina, Chapel Hill. After Congress passed the Every Student Succeeds Act (ESSA) in 2015, many governmental agencies, news media, and nonprofits working with Native students praised it for its funding opportunities for language and culture programming, as well as for its new requirements for tribal consultation with state and local education agencies. However, the extent to which ESSA can right the history of assimilationist education for Indigenous students remains to be seen. This talk draws upon oral histories, participant observation, discourse analysis, and Critical Race Theory to examine how shifting intergovernmental relationships under the law may expand or constrain Native nations’ flexibility to enact their own visions for education. In the process, it demonstrates what documents related to the ESSA planning process can tell us about the hopes Native nations and state governments have for curricula, intergovernmental relations, and consultation under the new law. 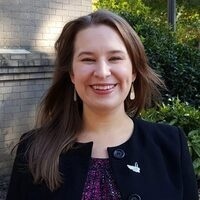 Meredith McCoy is a Royster Fellow and Ph.D. candidate in American Studies at the University of North Carolina at Chapel Hill. She studies federal Indian education policy from 1819 through 2015 with a focus on historical continuities of settler colonialism, racism, and Indigenous activism. Her dissertation research has been supported by the Ford Foundation and her upcoming work, a study of Indian education during Relocation, has been supported by the Frances C. Allen Fellowship of the Newberry Library. McCoy is a former Policy Assistant at the White House Initiative on American Indian and Alaska Native Education, a former public school teacher and instructor at a tribal college, and a graduate of the Native Leadership Institute, a leadership development program that provides training in strategies to support tribal sovereignty through finance and governance.